From being the NBA champions two years ago, the Cleveland Cavaliers are now the worst team in the league. 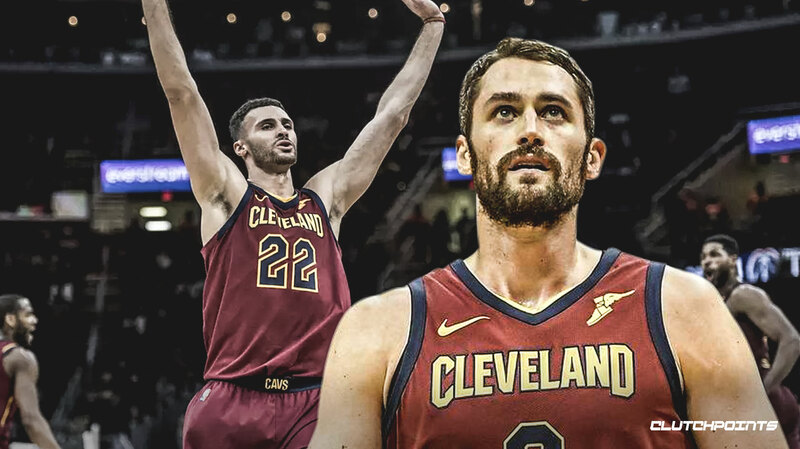 The Cavs unfortunate downfall had something to do with the departure of two-thirds of their once celebrated ‘Big Three’ of LeBron James, Kyrie Irving, and Kevin Love. Following the Cavs’ historic title run in 2016, Irving requested for a trade, which ultimately sent him to the Boston Celtics. Meanwhile, LeBron James left the franchise for the second time to join the Los Angeles Lakers. The Cavaliers wanted to remain competitive despite losing James, so they signed Love to a four-year deal. However, the former All-Star hasn’t played for the team this season due to a foot injury. After months of recovery, it seems that Love’s return to the Cavaliers line-up is getting closer and closer. He’s recently been allowed to engage in full practice sessions and haven’t encountered any setbacks. Love’s progress is something that creates positivity for the Cavaliers, who currently own the league’s second worst record this season. Larry Nance Jr., spoke to reporters after one of the team’s practice sessions and shared his excitement about the imminent return of the former All-Star. If Love will be able to play, it will help the Cavaliers end their season on a positive note. Sure, they will not be competing in the playoffs, but it would be great for the fans to see him suit up for the team this year. Related TopicsCavsKevin LoveLarry Nance Jr.